WOW! Women On Writing Blog: Looking West - The Journey of a Lebanese-American Immigrant by Albert Nasib Badre blog tour and book giveaway! Looking West - The Journey of a Lebanese-American Immigrant by Albert Nasib Badre blog tour and book giveaway! Looking West begins in 1960 as the Badre family emigrates from Beirut, Lebanon to the United States. This is a dream come true for fourteen-year-old Nasib. Al Badre—like many other American immigrants--works his way through hardship to achieve a meaningful place in his adopted nation. Looking West: The Journey of a Lebanese-American Immigrant is available on Amazon, Barnes & Noble, and IndieBound. To win a copy of the book Looking West by Albert Nasib Badre, please enter via Rafflecopter at the bottom of this post. Giveaway ends on April 15th at 12 AM EST. We will announce the winner the same day on the Rafflecopter widget. Good luck! States with his family in 1960 at the age of fourteen. His family made Albany, N.Y. their first home in America where he attended a private Catholic high school through his Junior year. After three years in Albany, the family moved to Iowa City, Iowa, when his father accepted a professor position at the University of Iowa. He finished his senior year at Iowa City High School, then went on to the University of Iowa where he got a Bachelor of Arts in Religious Studies. After college, he spent a year as a social worker in New York City. Deciding social work was not for him, he went on to pursue graduate studies at the University of Michigan where he got his Ph.D. in 1973. WOW: Al, thank you so much for choosing WOW to help promote Looking West - this is sure to be an exciting book blog tour! Let's ask the tough question first: What was your biggest fear with sharing such a personal story about yourself and your family? Al: I was a bit concerned about the fact that I am telling readers intimate details about myself, and in a way, I was invading my own privacy. But as an early editor told me, readers love intimate detail, and because it’s true, if it is a good story told like it’s a novel, they will love it. Also, even though I spoke many times with my family and friends about memoir content, anecdotes, and ideas, I was still apprehensive about their reaction to how I would eventually write it down. Luckily, the feedback has been very positive from all the people mentioned in the memoir. WOW: I'm happy to hear your family is supportive, and as someone who has read Looking West, I must say it fits the bill as a good story told like it's a novel! Does journaling play a role in your writing? Al: Looking West didn’t start as a personal journal even though I did have writings that I relied on later. I was first inspired to write my memoir when I read letters that my mother, my two brothers and myself wrote to my father detailing our life in America when we first immigrated. My father was with the UN, and not with us the first three years of our immigration. The majority of the letters were from my mother, who wrote to him at least once a week detailing the voyage by sea and telling him about our daily life in Albany. After I read and reread all the letters and decided to start writing, I spent many delightful and enlightening hours conversing with my mother about our life in Lebanon and our American adventure, and took lots of notes. My wife, Barbara, and I explored a large trove of photos from my parents’ files and albums as well as our own collection, and these triggered lots of memories. I also had many conversations with many of the friends and family mentioned in the book, taking notes and filling notebooks. WOW: How inspiring it is to hear the inside story about how Looking West came to be. Thank you for sharing your delight and enlightenment with readers - early reviewers agree this is an inspirational story and fabulous book! You're sure to continue being successful with with sales and reviews, let's talk about that. How do you celebrate successes in writing? What advice do you have for others? Al: In my early drafts, whenever I finished writing a chapter, I would reward myself by going with my wife to a good restaurant. My advice to other writers, Get an editor. After you finish the first draft, give it to a developmental editor and be ready to do lots of rewriting, restructuring and multiple revisions. When you finish with a developmental editor, go to a content editor. Then, if you have a publisher, be willing to listen to the publisher’s editors, and be humble. WOW: That's sound advice - thank you for sharing. How did you come up with your title? Al: Good question, the answer to which I am using in some of the book signing talks. The title Looking West refers to the fact that my small Protestant community in Lebanon was connected to Western culture at its roots. The same was true of the Eastern Christians, particularly the Maronites and Melkites, who looked to France and to Rome for cultural and religious sustenance. We looked to the West for our values, entertainment, music, movies, books, clothing, and travel. For us in the Protestant community, America was our “West.” It was missionaries from New England who brought Protestantism to Lebanon in the nineteenth Century, and succeeded in converting many Eastern Christians. As I said in the book, The Christian community from whence I sprung insisted that Lebanon was a Phoenician, not Arab, nation and looked to the West, and specifically to America, for inspiration and support. WOW: Thank you for sharing that insider information with our readers - great title and explanation. Here's a fun question: If Looking West was made into a movie, what would be the theme song and why? Al: I would choose two songs, America by Neil Diamond for the start of the movie and You Raise Me Up by Josh Groban for the second part of the movie. The words Diamond uses are just how I felt as an immigrant coming to America. On the boats and on the planes, to a new and a shiny place, they’re coming to America. The America of the 1960s was a country that welcomed immigrants with open arms. Diamond sings My country ‘tis of thee, Sweet land of liberty. This is exactly how I felt as our ship approached the New York harbor and I saw the Statue of Liberty. The Josh Groban song is for later in the movie because it sings of struggle and hope. His words resonate with my struggle to achieve my goals, you raise me up, so I can stand on mountains, you raise me up, to walk on stormy seas. With God’s help, I achieved my dream, I made it to where I wanted to be in my life, the realm of the mind. WOW: If I had to choose between those two I'd have a tough time too! Great ideas! Al: I’ve started working on a sequel, except I am thinking seriously of writing it not as a memoir, but as a novel. It’ll be based on my life in academia. There’s lots of conflict involving people who are still around, or the families, and I am sure they would not take kindly to my relating some of the stories. It is about this idealistic individual who starts as a young assistant professor counting on spending the rest of his life pursuing a scholarly career in an intellectual paradise disconnected from real world concerns. He finds out the truth about academic life very fast. He tries to fight to preserve his scholarly independence and, in the process, he makes enemies, is wounded more than once, and finds out academia is as cut throat as anywhere else, perhaps more. The story climax on how he overcomes conflicts and difficulties, and eventually reaches scholarly independence. Of course, writing a book like this means I have to go take courses in creative fiction writing, and I am looking at what is available right now. WOW: I just don't know how you find the time - very impressive! Readers should know you are also a busy volunteer - what would you like to tell others about volunteer work and how it has impacted your life? Al: Well, I chose to become a Catholic, and I believe to live a truly Catholic life, we need to be merciful and loving to the poor, the marginal, and the forgotten. For me, that means practicing the corporal and spiritual works of mercy in the community where I live, including feeding the hungry, giving drink to the thirsty, visiting the sick, giving clothes to the needy, and sheltering the homeless. Those tenets have affected me deeply leading me to practice the corporal and spiritual works of mercy in the community where I live and as a result I have been volunteering organizing food for those in need, serving in meal kitchens, leading Bible studies, and participating in parish community spiritual activities. Also, living the good news is part of who I am. This reminds me of a true story of how one can be inconspicuous in living and spreading love. This is a story of an old lady in a college town in India who sat on a bench acting like she needed help reading excerpts from the Bible. So, when a student would pass by her bench, she would stop him and ask him to read to her. Another person who knew her well, and knew she could see and read, noticed what she was doing and came up to her and inquired why was she asking students to read to her? She told him, this is my way of spreading the good news. WOW: Spreading love - that's such a beautiful way of looking at it! Now just one last question: If readers have just one takeaway after finishing Looking West, what should that be? What is the main messaged you wanted to share with the world and why? Al: The main message is, never give up your dream. Whether you’re an immigrant, changing countries and struggling with a new language, and trying to make new friends, or a native-born person, you’re likely to face obstacles in life when you try to achieve your ambitions. Stay on course, don’t give up, and trust that you were put on earth because there’s a unique mission for you in this world. WOW: Thank you so much for spending time with us today and for all this great information about Looking West and the publishing process that brought you here! We look forward to seeing you again when you finish the sequel! Albert Nasib Badre launches his tour of Looking West; The Journey of a Lebanese-American Immigrant with an interview and giveaway at the Muffin! Nicole Pyles shares her review of Looking West; The Journey of a Lebanese-American Immigrant with readers at World of My Imagination. Don't miss a chance to learn more about this heroic memoir. Crystal Otto shares a 5 star review or the touching and empowering memoir Looking West by Albert Nasib Badre. Cathy Stucker interview Albert Nasib Badre about his empowering memoir Looking West; The Journey of a Lebanese-American Immigrant. Readers at Selling Books are looking forward to learning more about this touching journey. Sreevarsha Sreejith reviews Looking West by Albert Nasib Badre. Don't miss this opportunity to hear from Sreevarsha and visit To Write or Not to Write. Don't miss today's empowering and honest interview between Lisa Haselton and Albert Nasib Badre - you will want to learn more about Looking West; The Journey of a Lebanese-American Immigrant in this touching memoir. Well known book reviewer and fellow memoirist Linda Appleman Shapiro reviews Looking West; The Journey of a Lebanese-American Immigrant by Albert Nasib Badre. 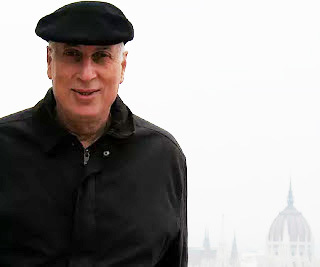 Jerry Waxler tells why he thinks Looking West; The Journey of a Lebanese-American Immigrant by Albert Nasib Badre is an important contribution to the Memoir Revolution. Don't miss this insightful review of Badre's journey to find himself at the intersection of two seemingly very different cultures. Author Anthony Avina delights readers at his blog as he reviews the moving memoir Looking West by Albert Nasib Badre. Beverley A. Baird reviews the memoir Looking West; The Journey of a Lebanese-American Immigrant by Albert Nasib Badre. 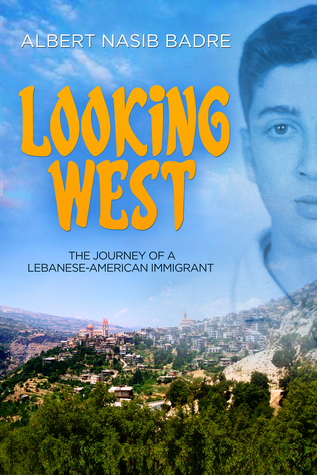 Amber interviews Albert Nasib Badre about his moving memoir Looking West - don't miss this opportunity to learn more about the journey of this successful Lebanese-American immigrant. Today's author spotlight at Breakeven Books is none other than memoirist and immigrant Albert Nasib Badre with his touching story Looking West; The Journey of a Lebanese-American Immigrant. Don't miss this opportunity to learn more about this inspirational coming of age memoir. Lacey reviews "Looking West" by Albert Nasib Badre - readers at Coffee with Lacey will delight in this beautiful coming of age memoir and one man's journey as a Lebanese-American immigrant. Today's guest post titled "The Backstory: Letters, Photos, and Conversations" is penned by Albert Nasib Badre. Don't miss this great post and opportunity to learn about Badre's memoir Looking West; The Journey of a Lebanese-American Immigrant. Description:Fellow author Lisa M. Buske reviews the inspirational and touching memoir Looking West by Albert Nasib Badre. Don't miss this opportunity to hear Lisa's thoughts on this powerful story. Israeli-American author Karen Levy reviews Looking West; The Journey of a Lebanese-American Immigrant by Albert Nasib Badre. To win a print copy of the book Looking West by Albert Nasib Badre, please enter the Rafflecopter form below. Giveaway ends on April 15th at 12 AM EST. We will announce the winner the same day on the Rafflecopter widget. Good luck! You are a great example of what the American Dream is. You are an inspiration. Your journey sounds like a great read. Thank you Abigail and Princess Seronica for your comments. My story is not only one of struggle; It is a journey of initial excitement, anticipation, struggle, purpose, and ultimate success. In this country, immigrants, as well as everyone has the opportunity to achieve the American Dream.